Doctors who performed overnight surgery did not perform worse in a subsequent daytime operation, based on a new study. Rates of complications, hospital readmission, and risk of death were not higher after surgeons pulled back-to-back shifts that started with the midnight shift. This seems to be due to physicians' ability to self-regulate their sleep deprivation. Results from nearly 39,000 patients were examined. They had all undergone one of 12 daytime operations. Researchers paired up patients. They had the same surgeon do the same procedure, either following a night shift or after the doctor had taken a seven-hour break. 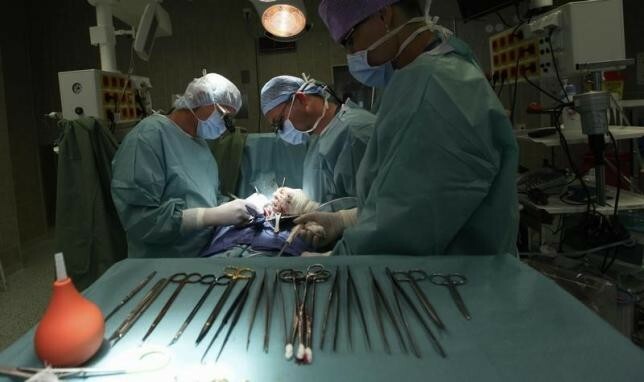 The study included over 1,400 surgeons, according to CBS News. Their patients' conditions were reviewed 30 days following the medical procedures. Findings showed that the results among patients did not differ whether their surgeons had just finished a midnight shift or had recharged their bodies and minds. This would seem to benefit patients preparing for elective surgery. Senior author Dr. Nancy Baxter is the surgery division chief at St. Michael's Hospital in Toronto, Canada. She said that surgeons plan their schedules based on how well they handle sleep deprivation. The findings show they are doing it well. Dr. Baxter noted that it is critical for physicians to keep the ability to self-regulate their work one day after being on call, since people can deal with sleep deprivation well or poorly. Individual doctors should make the judgment call. She also noted that the Sleep Research Society has endorsed a proposal that would require doctors who were awake 22 of the last 24 hours to inform their patients about the sleep deprivation. It would also require patient consent. Dr. Baxter admitted that the study was only at one medical institution and included a small sample size of patients and surgeons, according to Morning Ticker. The results could have been due to coincidence. Sleep studies indicate that in the United States about 40 percent of people get less than the daily recommended amount of sleep. Adults need at least seven hours to minimize concentration and mood problems.